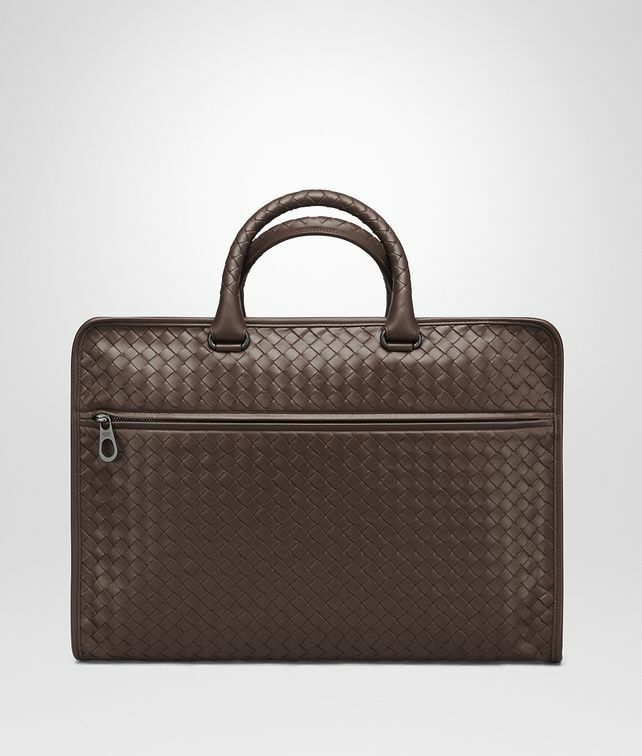 Flawlessly hand-woven in Leggero calf leather for a sleek, lightweight finish, this practical briefcase will hold everything from documents to a laptop. The design features a distinctive Intrecciato handle and a detachable fabric shoulder strap for added versatility. In addition to the external front and back zipped pockets, there is a roomy, cotton-lined internal compartment with two wide flat pockets.